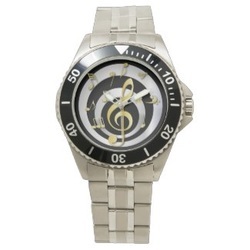 A stylish retro music design in printed gold and silver colored effect featuring a large treble clef and musical notes in gold on silver circles on a black background. 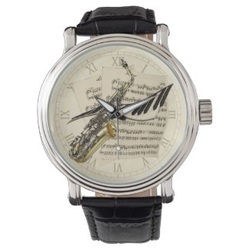 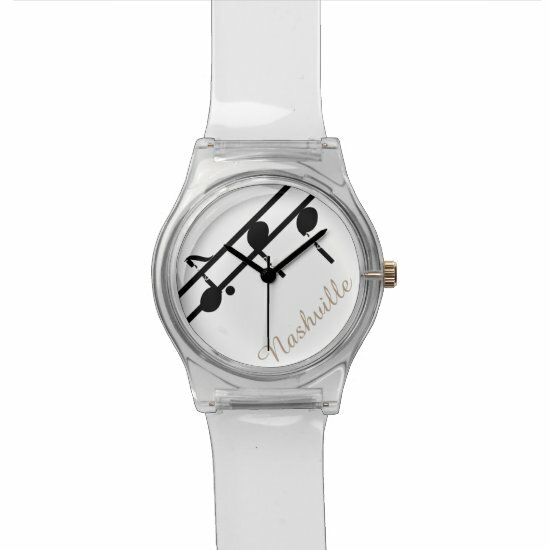 A vintage French horn and a collage of vintage sheet music offset with roman numerals makes this lovely watch, perfect for a musician or music lover. 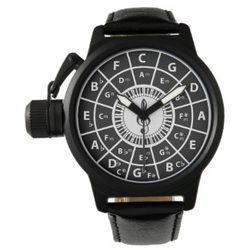 A collection of wristwatches featuring designs of musical instruments, including pianos and keyboards, guitars, violins, saxophones and more. 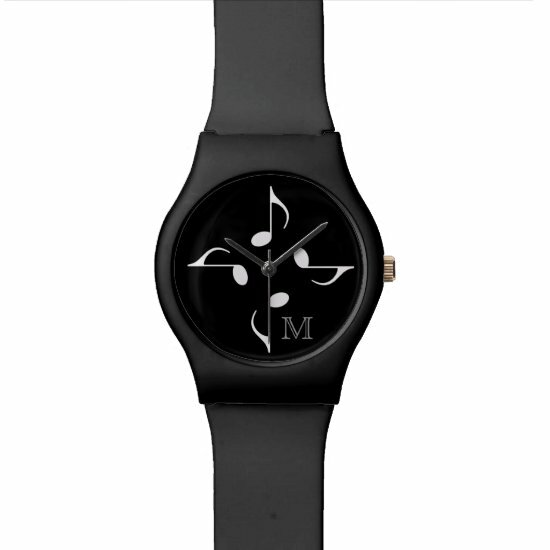 Musical notes, cassette tapes and speakers abound in this array of designs to suit all tastes. 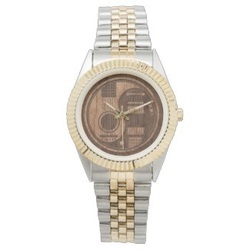 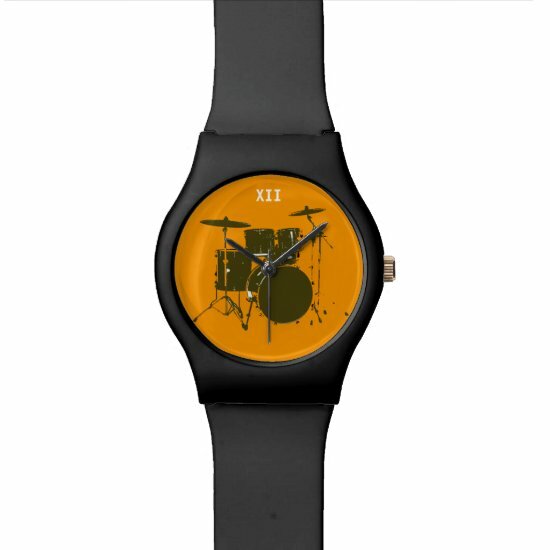 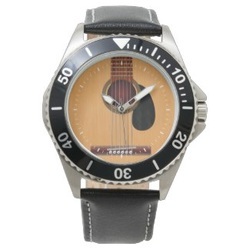 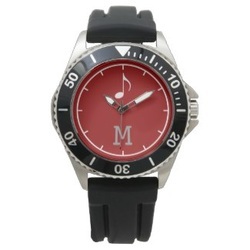 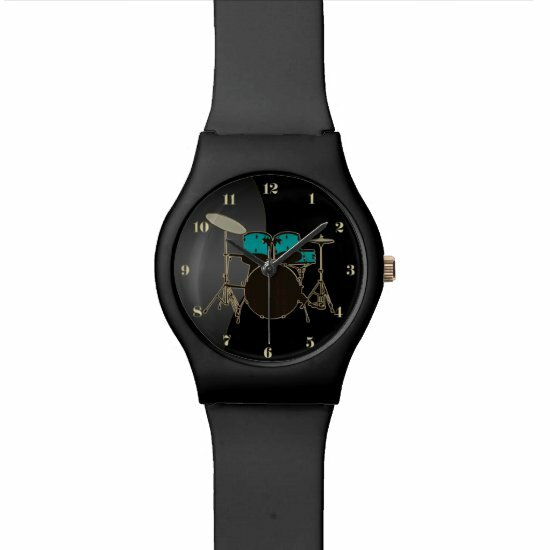 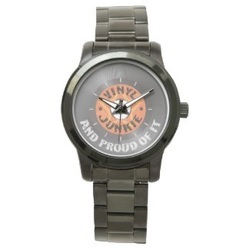 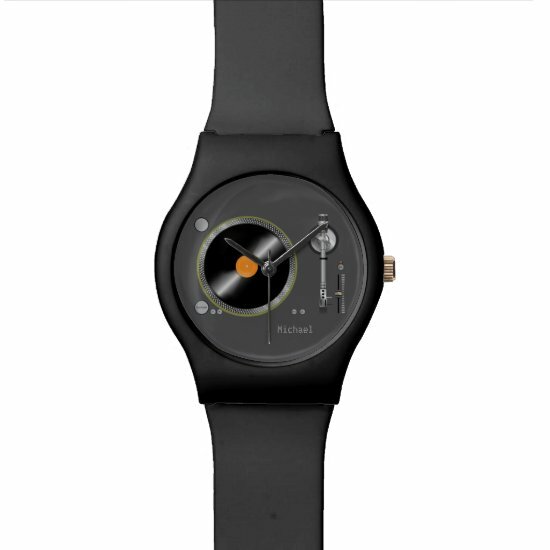 Know what time it is with a hip and stylish wristwatch which shows your love of music.